The Tiki scene, like classic cocktails in general, is reviving nicely these days. The lush, decadent marriage of tropical flavors and exotic kitsch carries us away to a better, less dreary place. Please join in and add your words, images, and offerings to the Tiki Gods on the 20th. Since Tiki is more than just the drinks, feel free to post on whatever Tiki subject floats your outrigger canoe. I suspect most of you will want to offer up delectable drinks, but feel free to wax eloquent on aloha shirts, exotica music, decor, garnishes, food or whatever else moves you to enter the Tiki spirit! Shake all ingredients with ice, strain into a glass filled with crushed ice, and garnish with a cocktail umbrella and cherries for bonus tiki points. Alternatively, just gulp the whole thing down quickly. As far as cocktail construction goes, this is as basic as it gets: Equal parts of stuff that’s really bitter, really tart, and really sweet. Yet it all works. If the one ounce of Fernet is intimidating, worry not. This is actually a pretty sweet drink. If you’re making this with a different orgeat, you may need to adjust the recipe to account for relative sweetness. For fun I also tried making this drink with the new Fernet Leopold from Colorado. This is a very minty take on the spirit, a bit more so than I prefer for sipping (though some of my friends love it), so I’ve been wanting to try it mixed. If you’d like to sample a mintier version of the Bitter End, give it a shot. 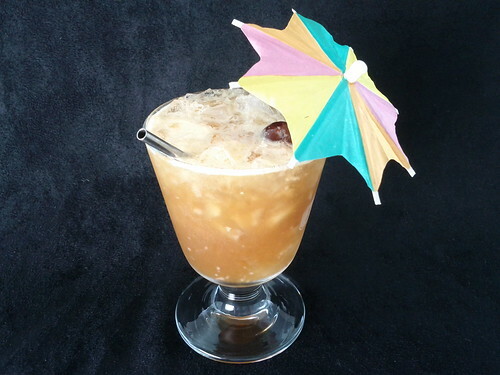 Transatlantic Mai Tai — An all-grain version of the Mai Tai substituting rye and genever for the usual rums. Kooey Kooey Kooey Cocktail — Rum, coconut milk, coconut porter, allspice dram, and a few other ingredients combine in this Tiki-themed beer cocktail. 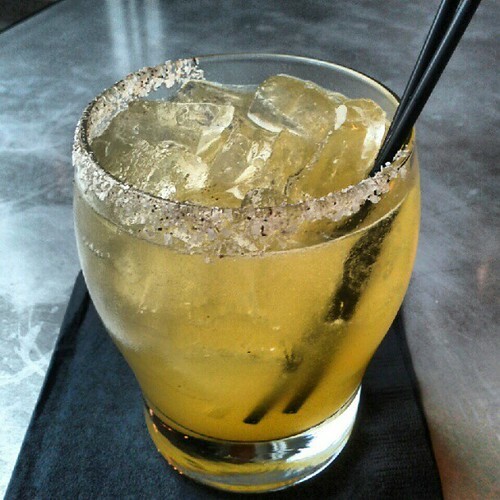 Lazy Bear — One of the best-selling drinks at Metrovino, featuring the fantastic Smith & Cross rum from Jamaica. 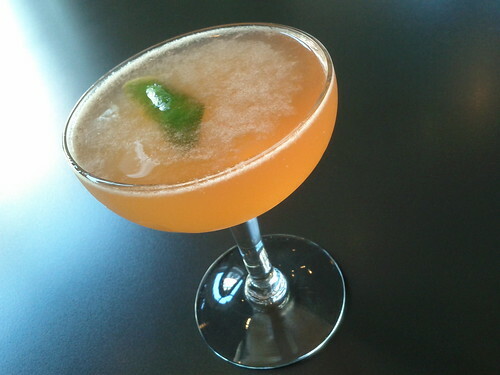 Seigle Sour — It’s a whiskey drink, but the plantain syrup arguably takes it into Tiki territory. Everybody knows that the Caipirinha is a fantastic drink for summer. But how about for winter? Surprisingly, it’s a great drink for the cold months too. Just try serving it hot. The idea struck me as strange when my friend Tobias Heinrich told me about it, but apparently it’s become quite popular in Germany. He remembers seeing the drink show up at German Christmas markets in the early 2000s, sold from booths alongside the traditional Glühwein. Cachaça sells extremely well in Germany; according to this site the country accounts for about one quarter of cachaça exports, with the Caipirinha second only to beer in drink orders. It gets cold there, so apparently some enterprising bartenders adapted the cocktail to turn it into a warming beverage. The method for this is pretty much the same as for a regular Caipirinha, except that instead of shaking with ice you’re adding hot water. Some recipes also call for mint. Though I like unaged cachaça in a cold Caipirinha, in the hot version the spice notes from a barrel aged cachaça are a nice addition. I served it at an event this week with Novo Fogo Gold and it went over very well. First Mad Dog 20/20 cocktails, now jelly shots? It’s true. Local writer Jen Stevenson (author of the excellent restaurant guide Portland’s 100 Best Places to Stuff Your Faces) reviews Jelly Shot Test Kitchen in the latest issue of MIX, and as part of her write-up she challenged me and Tommy Klus to come up with a few fancy gelatinized cocktails of our own. Click through to see my recipe for Pisco Sour jelly shots made with Encanto Pisco and Amargo Chuncho bitters whipped cream. I had a chance to flip through a copy of the book and it takes the jelly shot to new heights. Order it on Amazon or browse the recipes on the Jelly Shot Test Kitchen weblog. First Mad Dog cocktails, now umbrella drinks? It’s a good thing Metrovino’s kitchen is here to keep things classy. (Let’s not even talk about the bone luge… yet). This drink came about from wondering what would happen if you made a grain-based version of a Mai Tai, which traditionally combines two kinds of rum with lime, orgeat, orange curacao, and sugar. In place of rum this uses equal parts rye whiskey and Bols Genever, a very malty spirit distilled from rye, wheat, and corn and flavored with botanicals. Shake and strain over ice, garnishing with a cherry, mint, and a cocktail parasol. Yes, you must include the parasol. You wouldn’t want the cherry to get a sunburn. When Haus Alpenz brought St. Elizabeth Allspice Dram into the US market a few years ago, it immediately became one of my favorite staples behind the bar. 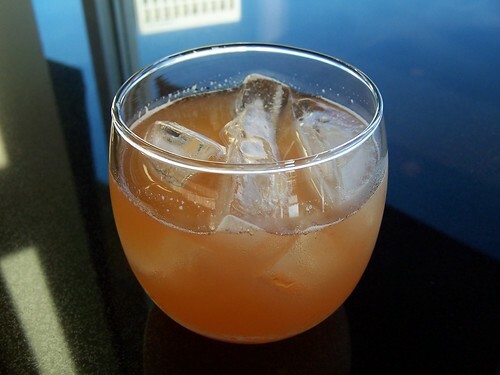 Allspice dram is one of those forgotten liqueurs that shows up in some vintage cocktail recipes and then largely disappeared. The spirit is made by infusing allspice (or “pimiento”) berries into Jamaican rum and then sweetening the mixture. It’s delicious and powerfully aromatic stuff, packed with winter spice notes like cinnamon, nutmeg, and clove. Haus Alpenz wisely chose the more descriptive and appetizing “allspice dram” over the traditional “pimento dram,” the latter of which calls to mind those red things stuffed into bar cheap olives. Now there’s a second allspice liqueur on the market. The Bitter Truth from Germany is using the classic name Pimento Dram for their offering. I received a sample a few weeks ago and I love it. It’s very rich and complex, with everything you’d want from an allspice liqueur. In price and proof it’s closely matched to the St. Elizabeth. I don’t have a strong preference between the two and am happy to recommend both of them. Shake, strain into a chilled cocktail glass, and garnish with a lemon twist. To make the syrup, brew lapsang souchong tea and combine it with an equal volume of sugar. I also use pimento dram to make “spiced bitters,” an equal parts mix of the liqueur and Angostura bitters, that I keep in a dasher bottle at the bar. At Metrovino we pour through a lot of it making Lazy Bear cocktails. I haven’t tried Bitter Truth’s product this way, but I’m sure it would do well. If you read this blog and stop by Metrovino for a cocktail, you might notice some recurring themes. The drink menu starts with a beer cocktail and ends with one featuring Bols Genever. In between there’s Farigoule, three different brands of gin, Smith and Cross rum, plantains, Chartreuse and chocolate, and clarified citrus juice. If that sounds like the kind of menu I would put together, that’s because it is. I’ve happily ended up playing a larger role in the bar program there than initially expected. I’m joined behind the stick by another Carlyle alum, Jason Karp, and a new arrival from Los Angeles, Elizabeth Foley, most recently at Wolfgang Puck’s Cut and Sidebar at the Beverly Wilshire Hotel. Part of the fun of being behind a bar regularly again is getting to put into practice some of the things I’ve been working on only for fun or for special events during the past year. Among these is agar agar clarification. The method for this was developed by Dave Arnold at the French Culinary Institute and it’s not too hard to work into one’s prep, yet as far as I know no one in Portland is doing much with it yet. We have two cocktails on our new menu using clarified juice as an ingredient. The first of these is the Crystal Caipirinha. The Caipirinha is one of the world’s great cocktails, a rustic affair with cachaça, limes, and sugar. Traditionally one would muddle this drink. With clarified lime juice you don’t have to. You can stir it instead, and serve it up for a more refined presentation. From the appearance it could be a boring vodka Martini, which makes it all the more surprising when one gets the strong flavor and aromatics of cachaça and lime. Stir, serve up in a cocktail glass, garnish with a lime twist. It’s important to cut the lime twist over the drink; this isn’t just a visual garnish, it’s there to incorporate the citrus oils that would get released during muddling in a traditional Caipirinha. The other drink we’ve put on our menu with clarified citrus is a take on the classic Aviation, the Cleared for Departure (possibly my favorite thing about clarified juice is all the clarification puns it opens up). 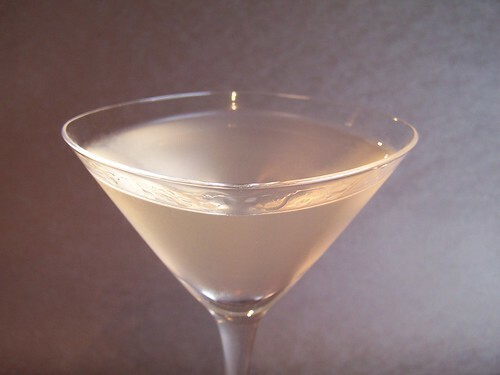 According to one story, the Aviation is named for the sky-like color given to the drink by crème de violette, a liqueur flavored with violet petals. It’s a fantastic cocktail, but shaking it with ordinary juice clouds its appearance and takes away some of the violette’s striking hue. 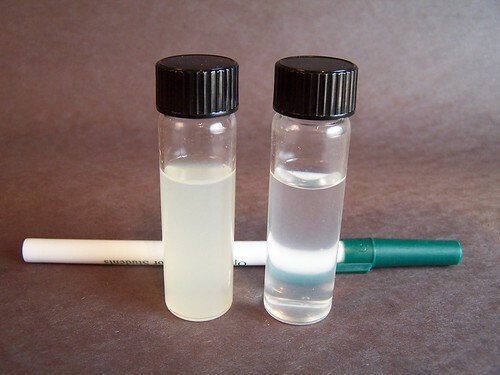 By substituting clarified citrus and stirring instead, you get a drink that’s crystal clear and has beautiful color. When I make this at home I use the Beefeater Summer Edition gin, which has floral notes that are just perfect for this drink, and the Deniset-Klainguer crème de violette. It’s delicious but I can’t get either of those ingredients in Oregon right now. However the locally made Aviation gin and Rothman and Winter crème de violette work well too, so that’s what we use at Metrovino. And yes, I know that the Aviation cocktail is usually made with lemon, but lime also goes nicely here. Stir, serve up with a lemon twist. So far both of these drinks have been fairly easy to work into our cocktail menu. The execution is simple and the preparation isn’t as time-consuming as it might at first appear. One can juice early, let the agar agar set while doing other work, then filter right before service. I’d like to see what other bartenders would do with the process. Working as the Oregon brand ambassador for Lucas Bols, I spend much of my time promoting Bols Genever. However I also work with one of our other brands, the ubiquitous Italian liqueur Galliano. Both present interesting challenges. With genever we’re introducing people to an entire category of spirits with which they may be unfamiliar. With Galliano, the spirit is familiar sometimes to the point of neglect. A friend of mine jokes that buying a bottle of Galliano is a condition of getting a liquor license; it seems like every bar has it, but they don’t reach for it as often as they could. When I talk to the public about Galliano, three associations come up repeatedly. One is of course the Harvey Wallbanger. Another is people sneaking pours from their parents’ giant Galliano bottles when they were underage. Or lastly, if a person had been to bartending school, they remember that if a drink is ordered “against the wall,” that means it’s served with Galliano. I’m pretty sure this nomenclature derived from the Wallbanger, but one guy was certain of his alternative theory: Because 750 ml Galliano bottles are too tall to fit on some bar shelves, they’re stored “against the wall” instead. Probably wrong, but points for creativity! To be fair, there’s a good reason the spirit has been overlooked in recent years. Previous owners of the brand moved production to France and altered the recipe, taking it down to 60 proof and making it much less complex. Those older bottlings are far too sweet. Bols, however, has taken the brand back to its original home in Livorno, Italy and restored its quality. It’s now back above 80 proof and much more complex, with some 30 herbs, spices, and extracts going into it. If you haven’t tasted it in a while, it’s worth giving it a new try. I was skeptical myself, but it really is a vast improvement over the French product. Look for the bottles with red trim and “L’Autentico” on the label. 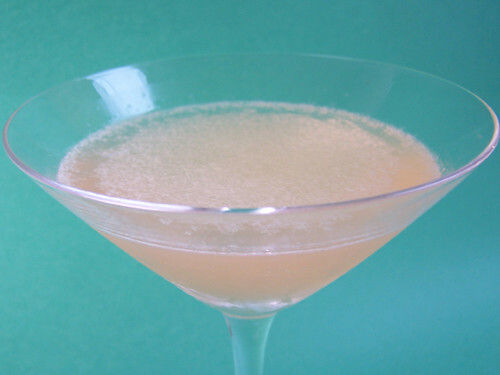 The most famous Galliano cocktail is the Harvey Wallbanger, basically a Screwdriver with Galliano floated on top. A close second is the Golden Cadillac, a blend of Galliano, white crème de cacao, and half-and-half, sold in unimaginable quantities at Poor Red’s BBQ in El Dorado, California. This was a guilty pleasure of mine as far back as my DC days. Sweet, yes, but also delicious. Stir with ice and strain into a rocks glass. Express a lemon zest over the drink and discard. This is a great aperitivo, low in alcohol but with lots of flavor and fantastic color from the Sanbitter soda. Shake the first four ingredients with ice and strain into an ice-filled collins glass. Top with ginger beer and serve. It’s balanced and refreshing, a good long drink for sitting outside in the summer. Have another good drink “against the wall?” Let me know in the comments.